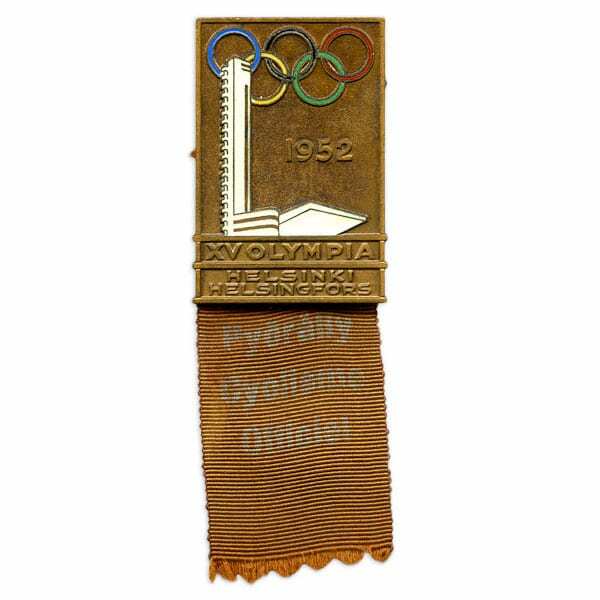 Description: On bronze background the Olympic rings, the Stadium tower and the year 1952. The text below: XV OLYMPIA HELSINKI HELSINGFORS. Attached textile ribbon with faded text: Pyöräily Cyclisme Officiel. Other information: So called “Bronze badge”.